Rich in original character and traditional charm, this beautifully preserved historic building was originally built in 1450 and was tastefully refurbished in 2003. In the centre of the charming East Anglian village of Long Melford, the Bull Hotel boasts unusually well preserved original timberwork, both outside and inside. The impressive timber-framed exterior was revealed in 1935, when a hundred-year-old brick front was removed. Inside, the massive moulded oak beams dominate the reception area and the original part of the building. The lounge boasts a big, beautiful Elizabethan fireplace and there are antique carvings in the Cordell Restaurant. The Cordell and Kentwell restaurants offer cosy, traditional surroundings and delicious food, along with an excellent selection of fine wines. Extensively refurbished, the hotel's comfortable rooms offer modern comforts and are furnished in a traditional style, reflecting the building's rich history. 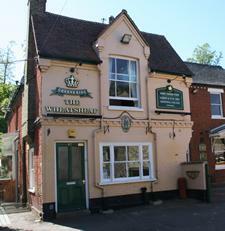 The family-run Plough Inn is a renowned restaurant and B&B on the A1101 in the quiet village of Icklingham. 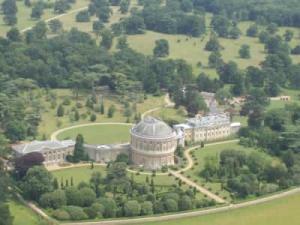 It is 8 miles (12.9 km) from Bury St Edmunds and 10 miles (16 km) from Newmarket. 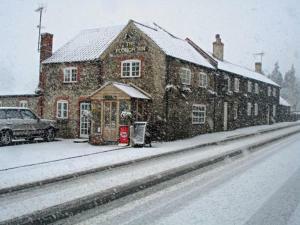 The Plough Inn has one of the top 50 restaurants in East Anglia, as voted in the EADT magazine. The bedrooms have plenty of facilities including a DVD player, a minibar and free internet access. 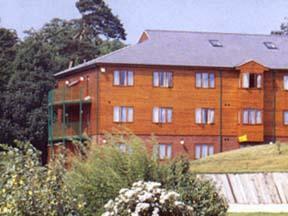 Mildenhall is 4 miles (6.4 km) away, and Centre Parcs at Elveden is a short drive away. This charming 17/18th-century period house is set in 3 acres of parkland and features tastefully decorated bedrooms and public areas including an elegant lounge and smart bar. 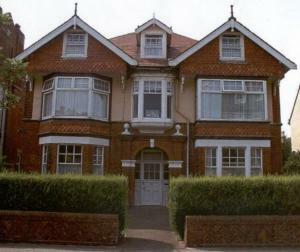 Satis House shares its name with the house mentioned in Charles Dickenss 'Great Expectations'. It is located with excellent access to Minsmere Nature Reserve, the heritage coast, Aldeburgh, Southwold and the beaches of Dunwich which are only 5 miles away. The award-winning restaurant serves modern British cuisine, made with local produce. Visit the Brudenell Hotel, and you'll find a haven of calm and relaxation in a contemporary and welcoming setting. Situated only a pebble's throw from the sea, with wonderful views along the beach. The Brudenell offers a breath of fresh air to those visiting the Suffolk coast. We offer a range of room types, most of which have views of the sea or the River Alde. All have high ceilings which compliment the light airy and relaxing decor. The White Lion is a traditional hotel opposite Aldeburgh's shingle beach, where wooden huts line the shore. Some of the cosy, inviting rooms have far-reaching sea views. 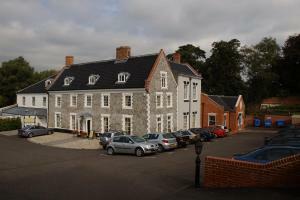 The privately owned hotel offers excellent service and fresh Suffolk produce served from delicious menus. Dine in the informal beach-facing bar with Real Ales, or the light and airy oak-panelled restaurant with an AA Rosette. With its warm atmosphere, log fires and good food, The Best Western White Lion is a wonderful seaside hideaway. In the area are: Snape Maltings concert hall, walking trails and RSPB and National Trust reserves. Tennis at the Country Club and golf on the established James Braid course can be arranged at nearby Thorpeness. With panoramic sea views of Lowestoft's award winning beaches, the Hotel Victoria offers premier hospitality with easy access for business or leisure activities. Our Salute restaurant, with exceptional sea views, offers a tastes of Suffolk from our freshly prepared local produce. Our bar opens 24-hours to residents, providing light meals and snacks with a vast selection of beverages. Enjoy free Wi-Fi access so you can stay connected. Our 24 bedrooms offer digital TV, together with 24-hour room service and all of the facilities to ensure you are comfortable whilst away from home. A warm welcome awaits you from our friendly staff. Set in the wilds of the Suffolk coast, between Rendlesham Forest and the sea, this fairytale 14th century monastery has been beautifully converted to offer luxurious accommodation. 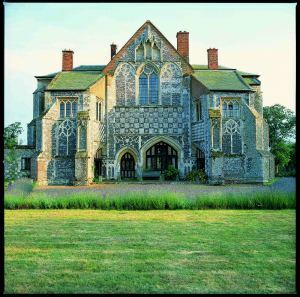 With its striking Gothic exterior, Butley Priory has been carefully restored and sensitively renovated to offer beautiful accommodation on a bed and breakfast basis. There are 6 double rooms, all of which have their own private bathroom and 3 of which have their own working log fireplaces. Despite the priory's antiquity, 21st century comfort is assured in the bedrooms, which include such luxuries as linen sheets and goose down-duvets. A seating area, morning tea tray, TV and hi-fi system are provided in all of the main bedrooms. Set in 7 acres of private woodland, in the beautiful, peaceful surroundings of the Suffolk countryside, Butley Priory is a wonderful base for a romantic getaway or a restful, relaxing, restorative break. In the sleepy village of Exning, this inn run by a local racehorse trainer is situated just 5 minutes from Newmarket town centre and racecourse. All food, including a delicious breakfast, is home-cooked from fresh ingredients by the chef. There is a large conservatory for dining, as well as a separate restaurant. On race nights the restaurant is open till 22:00. 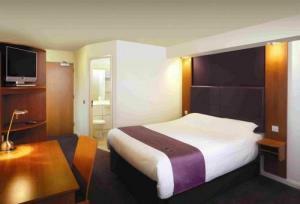 Recently refurbished en suite rooms (awaiting rating) offer high standards of comfort and style. Run by local girls Sharon and Liz, a warm welcome awaits all. Just a short walk away from the bustling town centre, this small 10-bedroom hotel is set within a wonderful Georgian building in the Suffolk town of Ipswich. 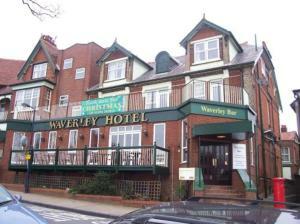 For your comfort and convenience, The Bentley Tower Hotel features a fully licensed bar and a relaxing lounge. During the warmer months you can unwind in the large garden with a patio and pond. There is also ample parking on site. Bentley Tower is ideally situated within easy reach of many of the town's main attractions, including Ipswich Football ground, Ipswich Museum, The Wolsey Theatre, The John Mills Theatre and The Records Office. Set amid rose gardens, this peaceful hotel has luxurious modern facilities and its architecture dates back to the 17th century. Excellent cuisine is served in the award-winning Orangery restaurant. Bedford Lodge has a first-class health club complete with a 15-metre indoor pool, a Jacuzzi bath, a sauna and steam rooms. Use of the leisure club is included in the room rate. 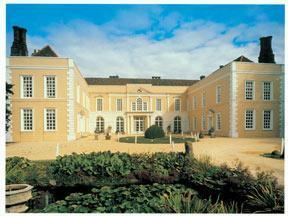 The hotel is 20 minutes from Cambridge and has easy access to Central London. 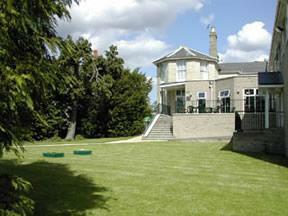 Bedford Lodge Hotel combines classic charm with modern comforts. Bedrooms are stylish and well-appointed, and the conference rooms are spacious. Set in the Suffolk town of Ipswich, this charming Edwardian property has been sympathetically renovated to provide a range of modern comforts, whilst maintaining its original features. Privately owned and run by Mosaic and Martin, Lattice Lodge aims to provide a welcoming environment complemented by a friendly home-from-home atmosphere. It is ideally positioned in a peaceful residential area, yet just a short distance away from the town centre and the surrounding area attractions. Each evening you can relax in the comfort of your guestroom or, during the warmer months, enjoy views over the landscaped rear garden from the spacious conservatory. Alternatively you can head into Ipswich's vibrant town centre, which is home to a variety of restaurants, bars and caf?s. A 21st century haven of comfort and friendly professionalism within a grade I listed Elizabethan manor house, Hintlesham Hall is to be found nestling in 175 acres of rolling Suffolk countryside. The 16th century building is distinguished by its Georgian additions, most notably the famous facade, and by earlier Stuart interior embellishments. Widely recognised as one of the loveliest in the UK and Ireland's highest rated hotels, the Hall has 33 bedrooms and suites of varying shapes, sizes and styles, enhanced by fine fabrics, works of art and antiques. Free wireless internet access is available throughout the hotel. The accent is on friendly professionalism and the list of available activities is substantial, although the heart of Hintlesham Hall is the opportunity simply to relax and perhaps wander around the grounds or countryside before enjoying chef's latest menus and depleting our award winning wine cellar. Health, beauty and other specialist treatments, a newly equipped gym and helpful instructors now compliment the pool (in season) which is small but perfectly formed. Adjacent is the associated championship size PGA golf course.